Episode 80 of Getintothis’ Patrick Clarke’s weekly round-up of all things undiscovered takes in German dance veterans, a phoenix from the ashes of Dope Body and a welcome return to Höga Nord. The Freisch collective are legendary among Berlin’s underground dance heads. Already notorious for their dark, visceral dance curations, their conceptual clout has recently branched out into a full-fledged label, and no debut could be more fitting than the new album from dance veterans Schwefelgelb. On the record, Wie die Finger durch den Nebel, the duo nail in its purest essence whatever it is that makes the Germans so damn good at electronica. Rigid, sparse and intense like the krautrock visionaries of yesteryear, yet somehow left-of-centre, throbbing industrial pulses provide an austere spine for an icy spoken vocal. 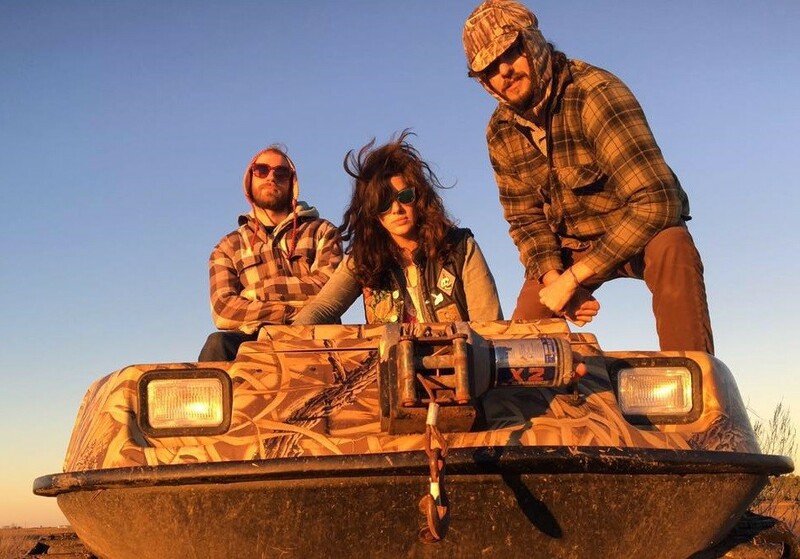 Meanwhile, from the ashes of recently-defunct Baltimore noise-rockers Dope Body has risen new project Scroll Downers, from the former band’s drummer Dave Jacober and guitarist Zachary Utz, who are joined by vocalist Lexie Mountain. For hundreds more new, obscure and undiscovered delights, delve into Getintothis’ Patrick Clarke’s Unknown Pleasures archive. Their debut LP Hot Winter drops on May 27th, with tumultuous, tempestuous lead single Shake Off The Rays streaming now. Snaking around a single, monolithic riff for a bludgeoning first half, the track takes the quickest of breathers before bursting into careening life once more, Mountain’s vocals sounding, well, mountainous as they rise to a fiercely desperate howl. Finally, we return to one of my favourite labels, Gothenburg-based Höga Nord Rekords, a longstanding source of content for this column and home to the likes of head-spinning Swedes Les Big Byrd, for the new single from Tross, Time Leaves Us. Cut from their upcoming 12″ picture disc The Walrus EP, glowing synths eddy and drift around a motorik beat for yet another shimmering showpiece from one of the very best labels around.